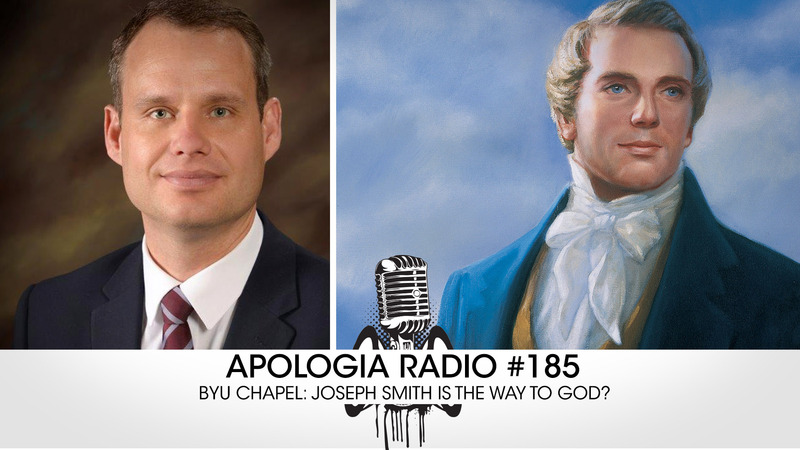 You are here: Home / Apologetics / BYU Chapel: Joseph Smith Is The Way To God? BYU Chapel: Joseph Smith Is The Way To God? You do not want to miss this new episode of Apologia Radio! We play through a message from a chapel service at BYU Idaho from the end of 2015. The Latter-day Saint representative quotes directly from Mormon prophets leaving absolutely no question regarding the near deification of Joseph Smith. Joseph Smith is elevated in the teachings of Mormon prophets and apostles in such a way that he becomes essential for salvation. Don’t believe us? Take a listen for yourself. The speaker (Jayson Kunzler) agrees. This is a must share episode! Share it with your Mormon friends, family, and neighbors. Let people know about what the Mormon church (officially) teaches about their prophet through the teachings of their own leaders. As Jeff says in this episode, we live in a wonderful time for evangelism to Latter-day Saints. God is exposing the darkness of Mormonism. Let’s use this opportunity to share the truth about the true Christ and the Biblical Gospel. Don’t forget to sign-up for All Access to partner with us in ministry and to get all of our TV shows, our After Shows, and our Apologia Academy in which you can learn from Jeff Durbin and Dr. James White about how to reach Mormons! Sign-up at Apologiaradio.com. Greg Laurie (harvest crusade and Calvary chapel) and Mel Gibson and calling 7th day Adventists Christians based on Mel’s new movie at harvest? Pictures of chuck smith and Brian broderson together with Rick warren? Eucamenism emergent church movement in the Calvary chapel? Please please if this is the truth it must be exposed for the sake of true believers at Calvary. Great show thank you. Being someone who came out of a cult by the grace of the Lord( Armstrongism – Worldwide Church of God) it is sad that these lies continue. Keep up the great work.